Bring extra batteries for your camera and good hiking boots because you’ll be stopping for photos many times on this journey! 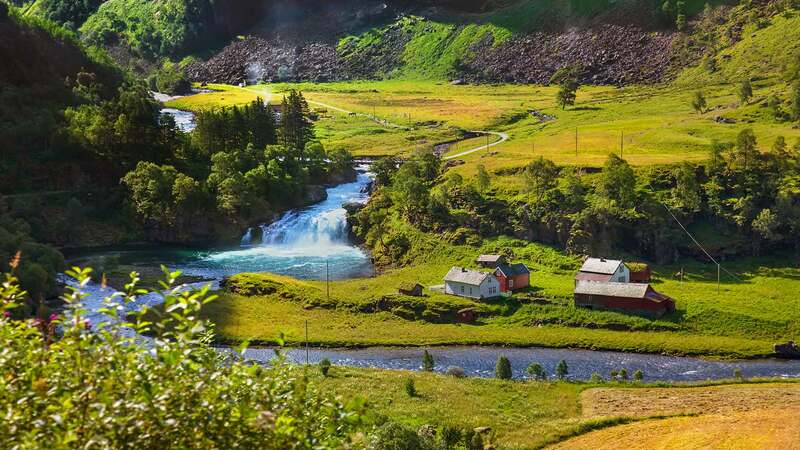 This self-drive tour takes you to some of the best-known attractions in Norway, including the stunning fjords, the central highlands and charming cities such as Oslo, Geilo, Bergen, Sogndal, Geiranger, Ålesund, Trondheim, Røros and Lillehammer. 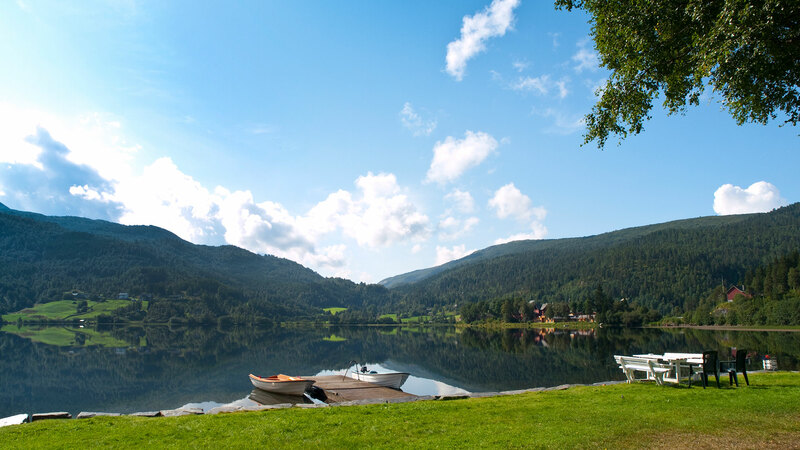 In the morning, collect your rental car in Oslo and start your journey through the Hallingdal Valley on your way to Geilo, a charming mountain village. On this scenic drive, you will travel past steep ski hills, through beautiful forests and over plateaus with great views. Spend the night at a hotel in Geilo. Driving distance approx. 219 km / 136 mi. From Geilo, continue to Bergen. Today’s leg of the journey takes you past the Hardangervidda National Park and to the inner parts of the beautiful Hardangerfjord, with spectacular views along the way. Other highlights of the drive include the impressive waterfall of Vøringfossen—the highest in Norway with its 182-metre cascade, the dramatic and narrow Måbødalen valley and the beautiful landscapes of the Eidfjord area. Driving distance approx. 243 km / 151 mi. 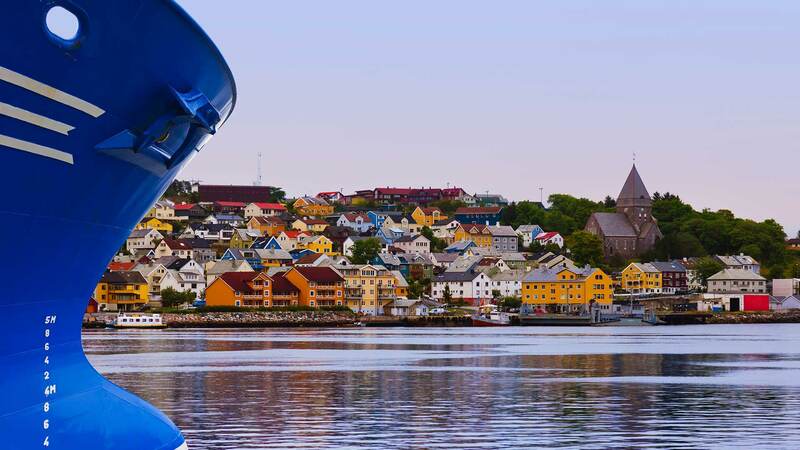 Despite being Norway’s second largest city and a major cruise port, Bergen has retained the atmosphere and charm of a small town. 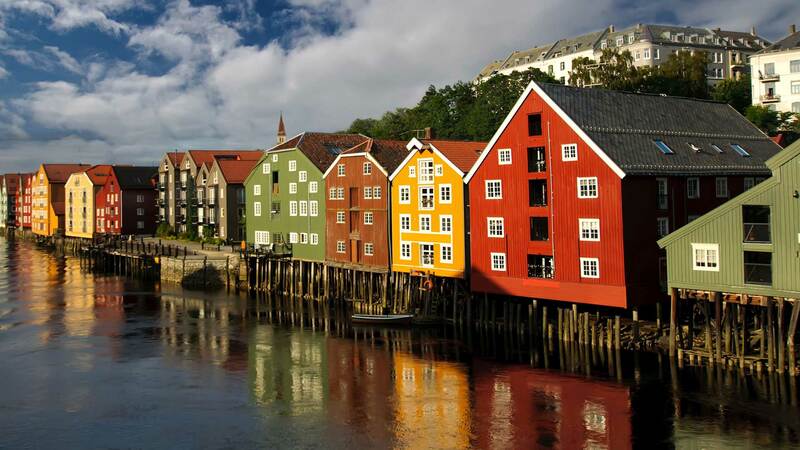 Here you’ll find the old wharf of Bryggen—a UNESCO World Heritage site, centuries-old houses, a vibrant fish and flower market and an interesting range of museums. For a good overview of Bergen, take the one-hour “mini-train” sightseeing tour through the city centre, including such sights as Maria Church, the Rosenkrantz Tower and King Håkon’s Hall as well as a panoramic view of the city from the Fjellveien Road. Today continue your self-drive trip by heading to Norway’s adventure capital, Voss. There, you can try out one of the many thrilling activities the town and its hinterlands have to offer. Another option is a visit to the beautiful Aurlandsfjord, where you can experience the famously steep train ride between Flåm and Myrdal—a treat for photographers or train enthusiasts alike! Your journey will then continue to Sogndal along the Sognefjord—Norway’s longest and deepest fjord—taking in such sights on the way as the town of Stalheim and Aurlandsdalen. From Geiranger, drive up the steep and winding Ørnevegen, “The Eagle Road”, to Eidsdal, where you will take another scenic ferry ride to Linge. 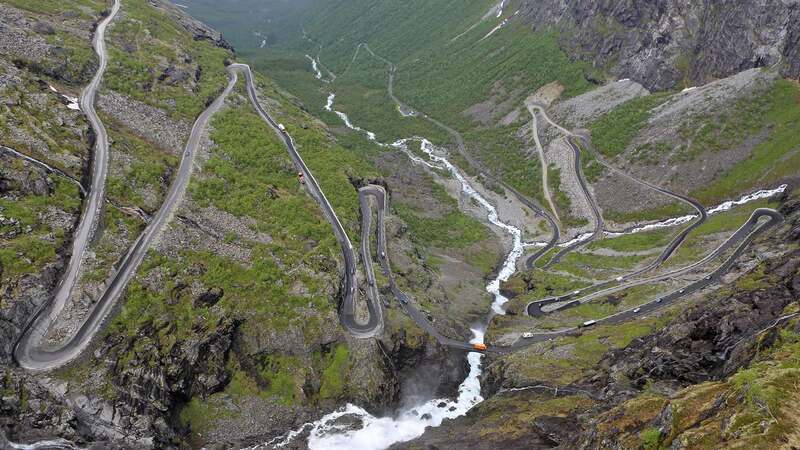 If you enjoy twists and turns, you will be even more impressed with the drive up Trollstigen, “The Troll Ladder”, one of the most visited attractions in Norway. After passing the high mountains encircling Trollstigen, continue to the captivating town of Ålesund. This city was almost completely rebuilt after a great fire in 1904 and is therefore very different from any other Norwegian town with its Art Nouveau architecture. The myriad of turrets, spires and beautiful ornamentation give the town its distinctive character, like something out of a fairytale. Here you also have the opportunity to visit the Atlantic Sea Park and enjoy stunning views from Fjellstua. Spend the night at a hotel in Ålesund. Today continue north towards Trondheim, the "Capital of the Vikings". Enjoy exploring this vibrant port city that was once the capital of Norway during the Viking Age, back when the city was called Nidaros. 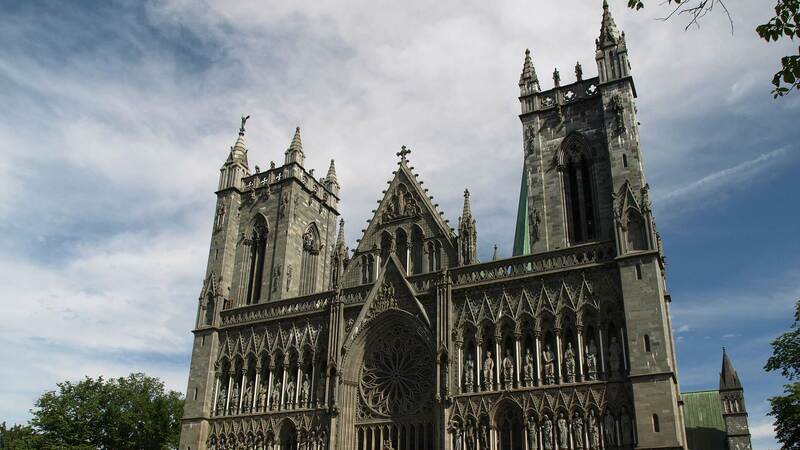 Here you will find the remarkable Nidaros Cathedral—with architecture to rival Paris’s Notre Dame, as well as countless other attractions like the Ringve Museum and Gardens, the Trøndelag Folk Museum, the charming neighbourhood of Bakklandet by the old wharf and much more. Today’s journey will take you back in time! 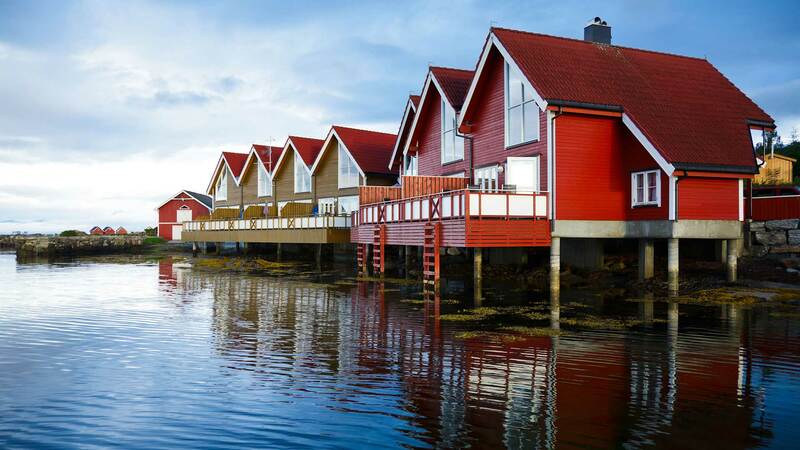 Drive towards the southeast, close to the Swedish border, to the small mountain town of Røros. 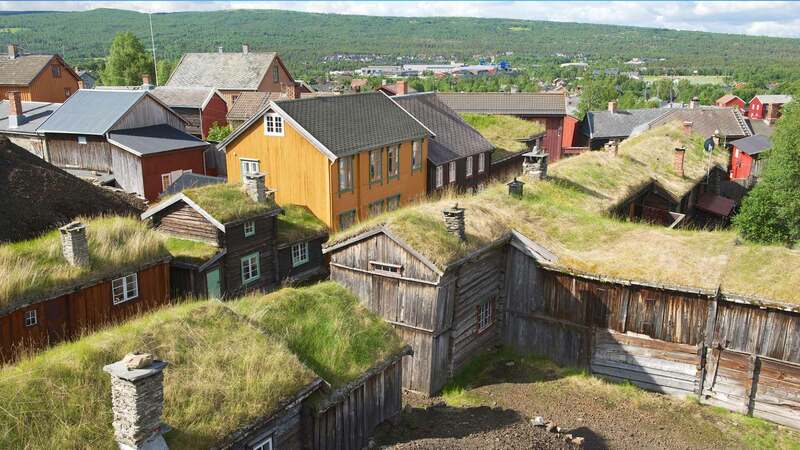 This former mining settlement is now a UNESCO World Heritage site, offering a charming atmosphere with well-preserved old wooden houses and narrow streets with many artist workshops. Spend the night at a hotel in Røros. Driving distance approx. 154 km / 96 mi. From Røros, drive south to Lillehammer, the host city of the 1994 Winter Olympics. To learn more about this competition’s history, visit the Norwegian Olympic Museum. Nearby is the Lysgårdsbakkene Ski Jumping Arena, where you can ride the chairlift for a great view or try the bobsled simulator! Other good options here include a visit to Maihaugen, one of Northern Europe’s largest open-air museums, or a stroll along Storgata, the city’s lively main street with many shops and restaurants. Spend the night at a hotel in Lillehammer. Driving distance approx. 259 km / 161 mi. After you have enjoyed all the best Lillehammer has to offer, it’s time to head back towards Oslo. On the way, you can make a stop at Hamar to visit Vikingskipet, the impressive ice rink built for the Olympics. 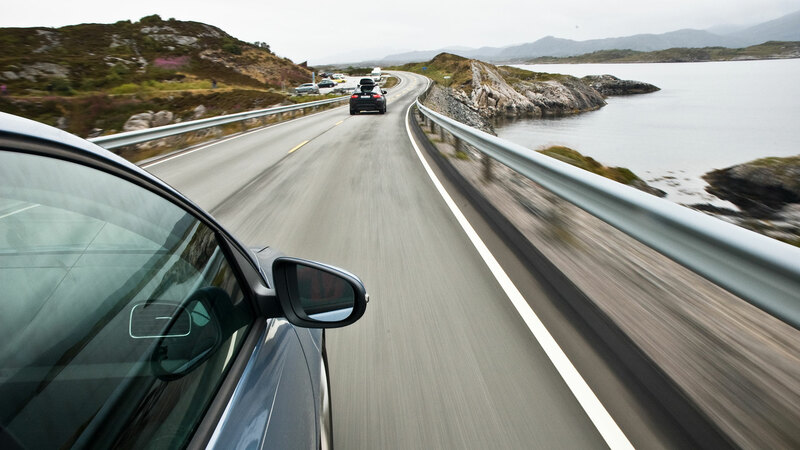 On arrival to Oslo, return your rental car and enjoy the rest of the day at your leisure, perhaps with a fine dinner to top off your amazing journey. For transportation to Oslo-Gardermoen Airport, you can take the Flytoget express train from Oslo Central Station or a taxi directly from your hotel. If your flight is in the afternoon, you have the chance for some last-minute shopping, a visit to one of Oslo’s museums or a relaxing break at a café. You did a fabulous job, considering we gave you very little time to prepare the itinerary, in high season. Sindre Matthiasson was excellent. The booking process was easy and very comprehensive. We received our documents in plenty of time to view our options for visiting sites while on the trip . Sindre was always prompt in answering any e mail questions we had prior to our departure . Rental car pick up was a breeze as the location for pick up was less than three blocks from our hotel in Oslo. The hotel choices were superior. Superbly organised, clear information with just enough detail not to be overwhelming. The tour was perfectly split into manageable driving lengths. Receiving the travel documentation was very exciting, wouldn't have been the same in digital form. I loved the map with the hotel names written on. The choice of hotels was varied and of a high standard. I was able to research hotel facilities such as car parking and kettles in rooms using trip advisor. That was really the only info missing to aid my planning. I felt that we were in safe hands and that should we have needed advice and support, it would've been there. Thank you for an excellent service. It was a wonderful tour through the stunning scenery of Norway, very well organized by Nordic Visitor. Already thinking of visiting the northern part of Norway (Nordkapp, Lofoten) at some stage in the future, if a self-drive option is available. Accommodation was excellent in all locations. We were pleased that many of the hotels offered complimentary evening light buffet meals. The hire car we received exceeded our expectations. We very much appreciated the map we were given with handwritten annotations for hotels, ferries etc. Thank you for the itinerary, and organisation. Everything was very enjoyable and the organisation made the trip a lot less stressful before and during. The suggested itinerary allowed us to see some of the sights we would not have known to keep an eye out for had we travelled on our own. However, the flexibility of having our own car and keeping to our own agenda also meant that we were able to explore other areas of interest that were not included in the itinerary. Meet-and-greet on arrival at the airport in Oslo and private transfer to your hotel for an additional fee of € 240. Contact us for details. Please note that some museums and activities in the countryside might only be available between 15th of June and 15th of August.